One of the enchanted blue shields. 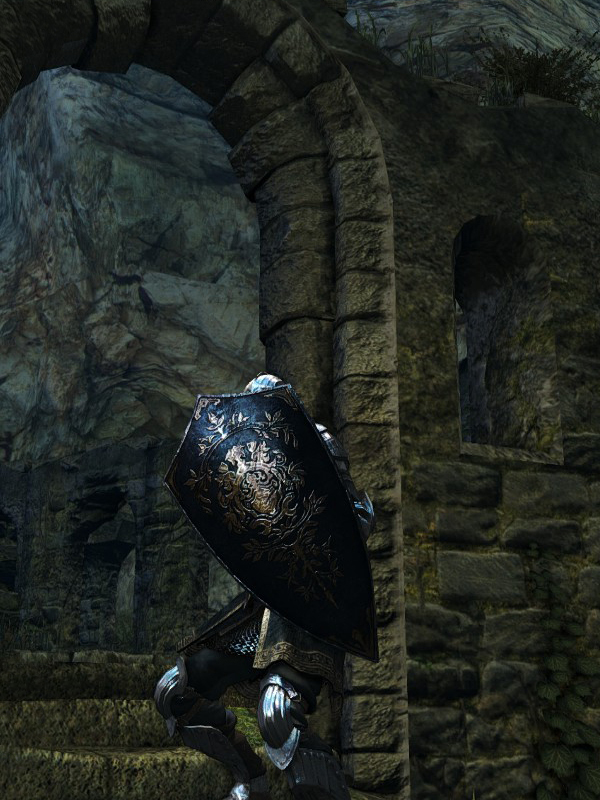 Dropped after killing the hollowed version of Oscar, Knight of Astora, encountered in the North Undead Asylum upon revisiting the area. Also known as the Heraldic Shield.